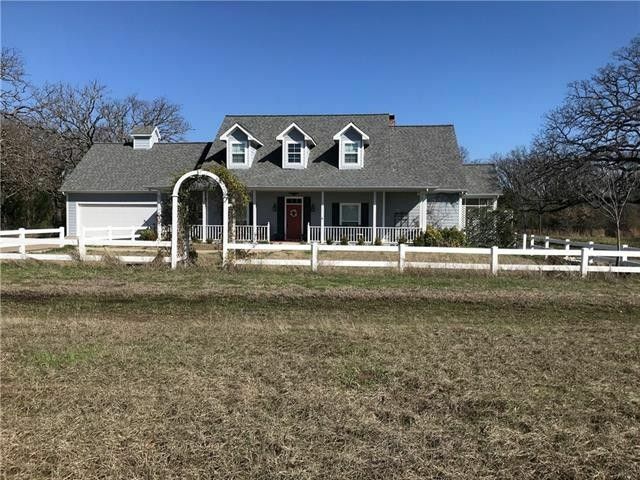 Wonderful Country Home is a must see, 12+- Acres with a pond and barn. Home features 3 bedrooms and 4 full baths. Large living and dining, with WBFP, windows across the back to look out at the pond. Kitchen open to dining with, dishwasher, ice machine, microwave. Fridge stays with home, nice pantry and plenty of cabinets. Master suite is downstairs with his and her sinks, garden tub sep shower with a nice walkin closets with built ins, upstairs is a sitting area 2 bedrooms with baths, a big bonus room, another room that could easily be a 4th bedroom. Tax Roll sq footage was incorrect, came and remeasured total of 3057 living. All info in this listing to be verified.